CrossRoads Longhorn 285RL Review: This One Has It All! For a knockout deal on a real living travel trailer with all the fixin’s, check out the CrossRoads Longhorn 285RL. On sale only at ExploreUSA RV, the Longhorn 285RL Floorplan is an affordable, residential style camper ideal for easy couples’ getaways. In this CrossRoads Longhorn 285RL review, we’ll take a close up look at this awesome rear living travel trailer on sale now at a blowout clearance price. The Longhorn 285RL has an entry/exit in both the front and rear of the coach. The front door leads directly to the bedroom and allows for easy access to the bathroom from the outside. The rear door conveniently opens to the main living area. Multiple points of entry to your RV cuts down on the amount of indoor/outdoor foot traffic throughout your camper and also allows for better air flow. 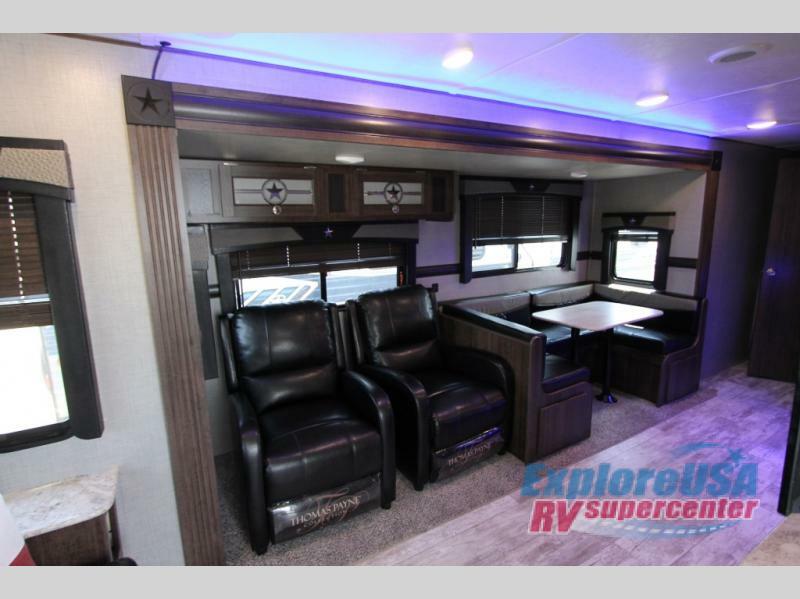 The CrossRoads Longhorn is equipped with upgraded residential seating options including a large jackknife sofa in the rear and either a second loveseat jack knife sofa or dual recliners. 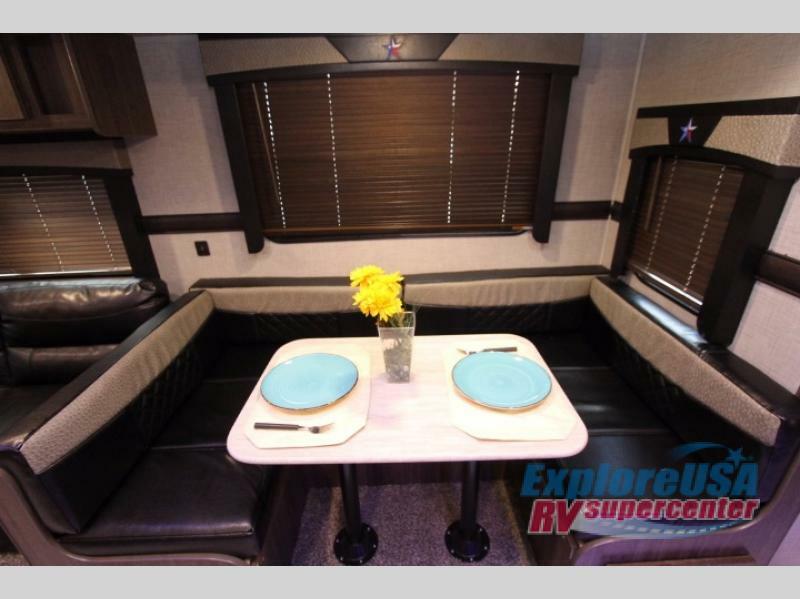 There is also a large, padded U-shaped dinette so everyone has a comfortable spot to enjoy meals or play games. The CrossRoads Longhorn 285RL also includes an electric fireplace smartly located opposite the seating area. You will feel right at home during your travels with this cozy addition to the living area. There is also a large walkthrough bathroom easily accessible from both the master bedroom and living/kitchen area. This large bathroom space includes a spacious neo-angle shower stall with glass door. CrossRoads RV backs their products with an industry leading 3 year limited structural warranty. The CrossRoads Longhorn is a quality built travel trailer packed with residential features you are sure to love. 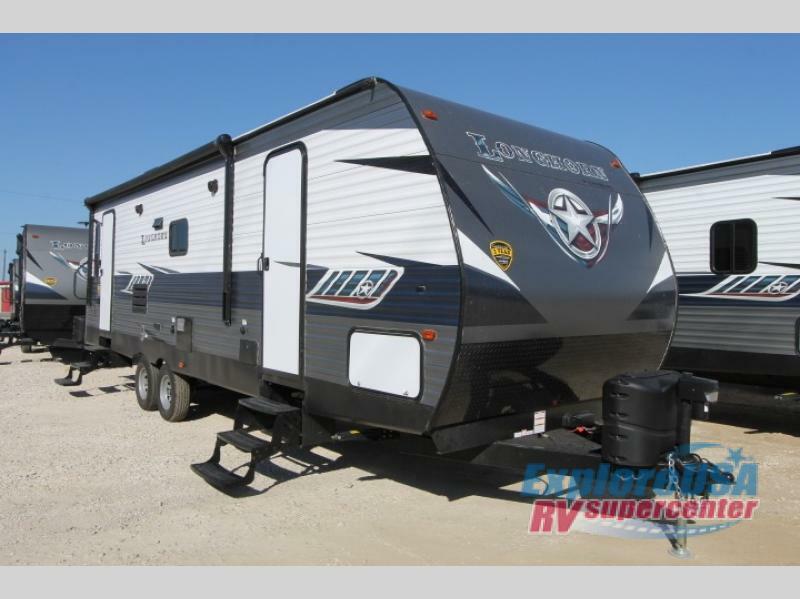 Don’t miss out on the lowest clearance prices you’ll ever see on the CrossRoads Longhorn 285RL! These special discounts are limited to RVs in stock, while they last. 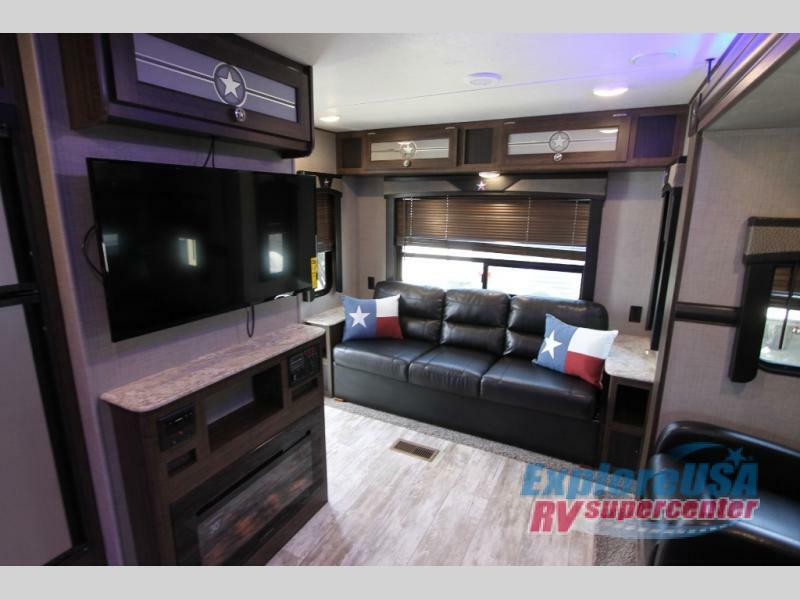 Visit one of our Nine ExploreUSA RV Locations in Texas for a walkthrough tour of this amazing rear living RV floorplan.